On the North and South Saskatchewan Rivers, discontent among the mixed-blood “Métis” society, and those of their Cree and Assiniboine allies, erupted into armed conflict. The intents of Blackfoot nations closer to the Rocky Mountains and the U.S.-Canada border were still in doubt. To newcomers like Cochrane, remote living brought fears. A rout by the forces of Métis firebrand Louis Riel over the North West Mounted Police at Duck Lake that left 17 combatants dead on March 26, and the declaration of a provisional government, provoked the Canadian establishment to mobilize its militia. News of uprisings at Frog Lake and Battleford by Cree allies stirred the prairies and brought the loyalties of other bands into question. As the Blackfoot, Blood and Peigan tribes watched their buffalo grounds become a cow pasture, they were confined into blocks called “reserves,” where they were handed out food and told how to live. With cattle herds belonging to ranchers like Cochrane appearing and the Canadian Pacific Railway laying track across the prairies, a way of life was drastically altered, and warriors were tempted into rebellion. In the confusion and unrest, frontier residents looking to protect their settlements volunteered for service in the irregular militia—the Rocky Mountain Rangers. Commanded by John Stewart, a rancher-turned-militia officer, the Rocky Mountain Rangers was a microcosm of citizens, stockmen, trappers, politicians and discharged Mounties hammered into an irregular cavalry unit. Volunteers were needed to guard a 200-mile frontier between the Rocky Mountains and the Cypress Hills, protect cattle herds from thieves and rustlers and keep an eye on the border. Stewart was authorized to recruit Americans, who accounted for a large fraction of local population—robe traders, range riders and bull-team freighters working new homesteads—a rich resource of homegrown talent who knew the prairie, and how to ride and shoot. Stewart had no qualms about drafting friends, business partners and neighbors into his officer’s corps. As commander, Stewart looked to his circle of comrades in business and military organizations; he felt fortunate that a remote area could produce good staff material. Volunteer recruitment yielded 100 men for the new regiment, comprised of rank-and-file working hands from local ranches. Ex-Mounties accessorized with yellow-striped breeches. Rangers were encouraged to pin the left side of the wide brim of their felt slouch hat up the crown. A possibility exists that some Rangers may have worn a hatband of red material signifying them as Dominion militia. These men did not take basic training seriously—humorous tales were told of troopers breaking out of formation, promising to catch up later. 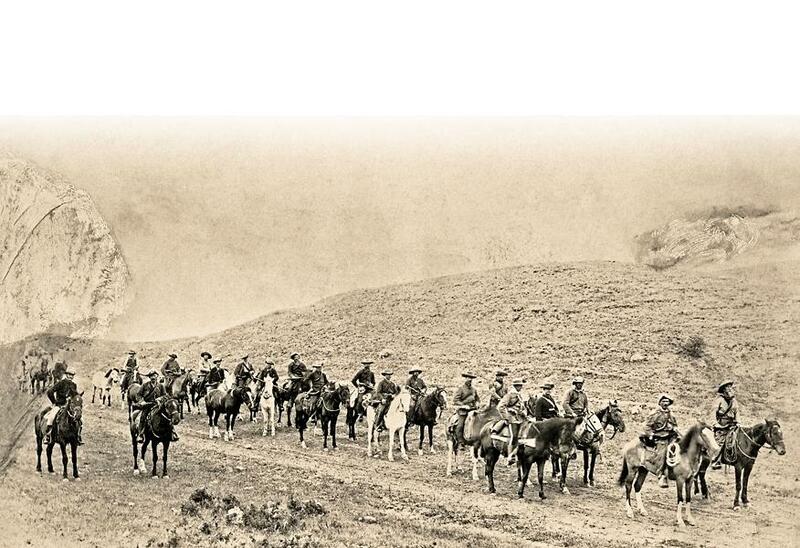 One officer ordered his charges to “halt, dismount, and have a drink.” But hard drilling was unnecessary—the Rangers could ride and shoot, had the resolve to fight and knew the vast open lands they patrolled. Divided into three troops, one company remained behind to guard the hilly ranch country, triangulating between Fort Macleod, Pincher Creek and High River, and the nearby reserves. Two companies marched east to Medicine Hat to guard railroad bridges, construction camps and the boundary country. As battles raged to the north, the Bloods and Peigans were quiet, and the Blackfoot pledged neutrality. Still, loose stories of marauders abounded. To augment the numbers, the Rangers sought out more recruits, spurred on by Rattlesnake Jack Robson, the long-haired scout, who “wore a buckskin shirt or coat with two revolvers in his belt.” With headquarters established in Medicine Hat, patrols were sent into the Cypress Hills, strategic hunting grounds of the Métis, with sheltered trails leading to Montana. Stewart felt that embattled Cree or Métis might regroup in the Hills or escape through the dense jack pines, into American settlements, and posted a $1,000 bounty for the capture of Riel. With the eventual Métis defeat at Batoche, Riel surrendered to government forces, but the Rangers failed to capture Riel’s military general, Gabriel Dumont, a legendary buffalo hunter whose knowledge of the country allowed him to slip across the border. Stewart’s Rangers held lonely vigil across a vast unguarded border—open territory for horse rustlers believed to be American Assiniboine or Gros Ventre. 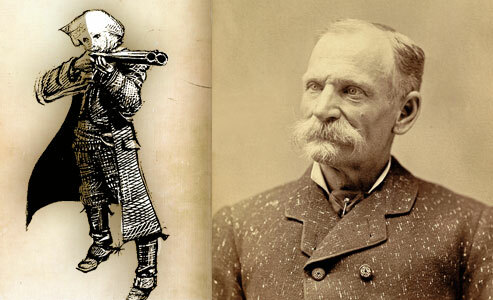 For reliable intelligence, the Rangers dispatched their best scout, William Jackson, who was fired on by a raiding party. The scout returned fire, and after several volleys, the party galloped away. Jackson reported in and guided the Rangers back to the site of the exchange. Some were skeptical of Jackson’s word, but the scout started a signal fire that was acknowledged with corresponding smoke. The Rangers gave chase, but the quarry escaped. Routine police work was accomplished by combined Rocky Mountain Ranger and North West Mounted Police patrols, and one such team broke a rustling ring in the Macleod-High River corridor. For the most part, the Rangers delivered dispatches, visited ranches, escorted freight wagons and kept general vigilance. With the defeat of the Cree at Frenchman’s Butte and Loon Lake, and the July 2 surrender of Big Bear at Fort Carlton, the revolt was broken. With threats past, the Rangers were ordered back to Fort Macleod and disbanded after only three months’ service. For exemplary performance and hardships endured, 114 Rangers were awarded the North West Canada Medal and became eligible for 320 acres of homestead land. These grants encouraged the veterans to become established as pioneer settlers in southern Alberta. 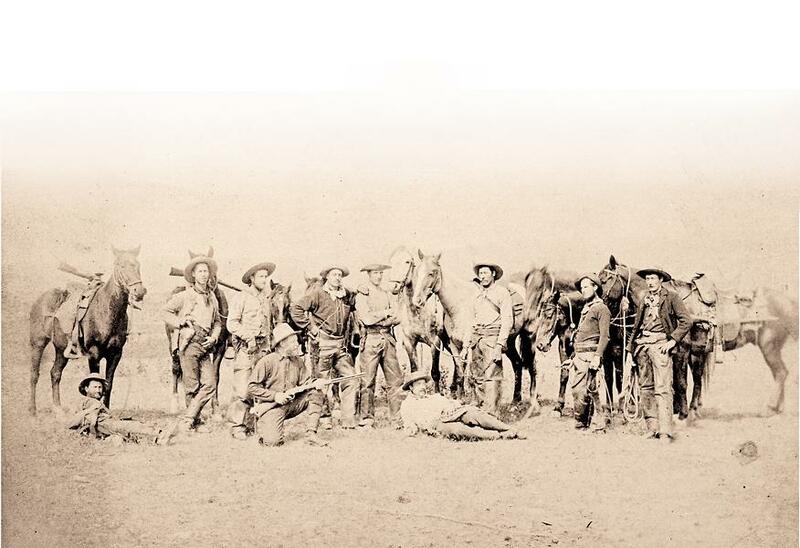 Though seeing little action, the Rocky Mountain Rangers lived up to the expectations of a military unit in a crisis—to maintain peace and order. Through many hours in the saddle, communities and lives were guarded, rumors were quashed, property protected and a conflict prevented from escalation. In their further careers as ranchers, businessmen, townsmen and politicians, the ex-Rangers did much to build the modern southern Alberta. Kootenai Brown even helped to create a National Park–Waterton Lakes (bordering Montana’s Glacier National Park). Whatever the Rangers suffered in lack of battlefield glory, they can be proud that their presence prevented their home from the bloodshed plaguing other fronts of the North West Rebellion. Gordon E. Tolton, of Coaldale, Alberta, is the author of The Cowboy Cavalry: The Story of the Rocky Mountain Rangers and Prairie Warships: River Navigation in the Northwest Rebellion. He has worked with Fort Whoop-Up and Great Canadian Plains Railway Society, among other historical groups. Henry Boyle, a British barrister and the second son of an Irish noble family, poses in Fort Macleod, showing off his new buckskins for photographer George Anderton. Boyle and his brother, Lord Richard, were aristocratic investors in the Alberta Ranche and Rocky Mountain Ranger officers. 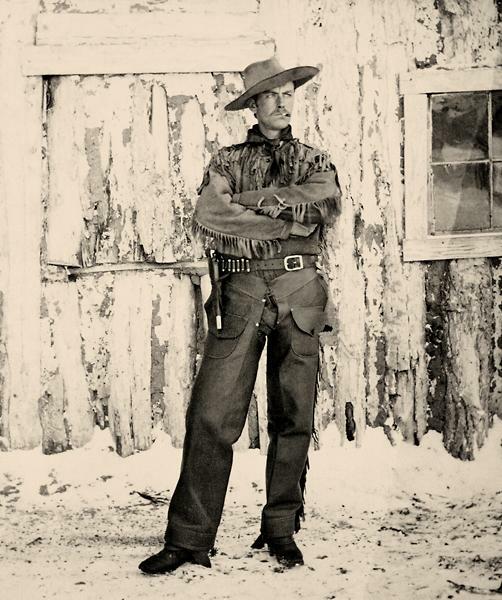 Shown at Fort Walsh, the North West Mounted Police outpost, in 1881, Jack Clark holds an 1873 Winchester and wears prairie attire that is in keeping with the Rocky Mountain Ranger uniform. The force often took on former policemen as civilian scouts, since many of them were intermarried with natives or Métis and thus offered valuable experience, especially during the years of Sitting Bull’s Sioux exile in the Cypress Hills. The Mounties wore prairie dress known as mufti so as to save wear and tear on their scarlet uniforms required for official occasions. Prairie dress was often adorned with official accoutrements, such as belts, striped breeches, insignia buttons or scraps of scarlet uniform material. The 1885 North West Rebellion marked the first time that Canada’s new transcontinental railroad was used to transport soldiers to the prairies. 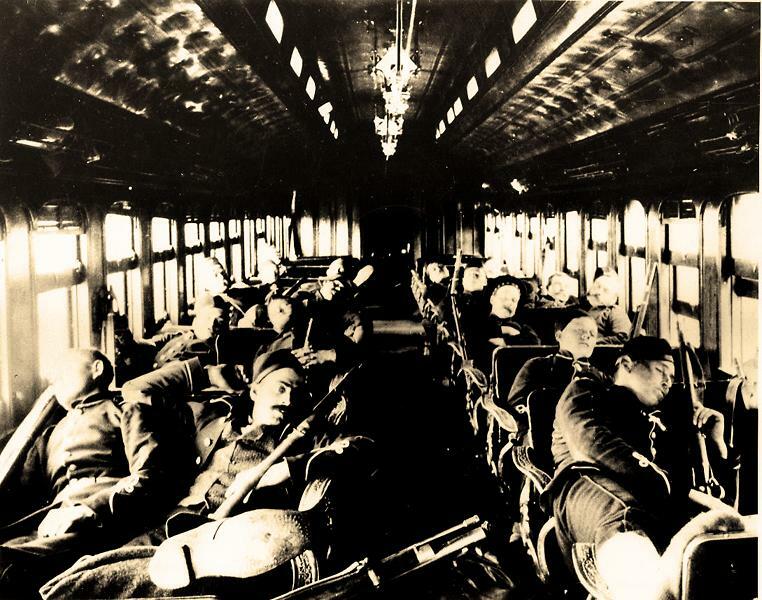 The 114 cowboys and ranchers who made up the Rocky Mountain Rangers helped to provide security for the railroad’s construction. The story of building the Canadian Pacific Railway is the focus of a major IMAX film, Rocky Mountain Express; check your local IMAX for showtimes. Rocky Mountain Ranger officers, scouts and troopers line up in formation for a march near the railroad town of Medicine Hat. Chief scout ‘Kootenai’ Brown and Capt. (Lord) Richard Boyle (wearing a tri-cornered hat) lead the column. Captain Edward Gilpin Brown, in a dark tunic, is directly behind Boyle. Next to Brown, an unidentified trooper sports mounted police/militia-pattern striped breeches. At extreme left, Maj. John Stewart and Lt. Henry Boyle face the camera. 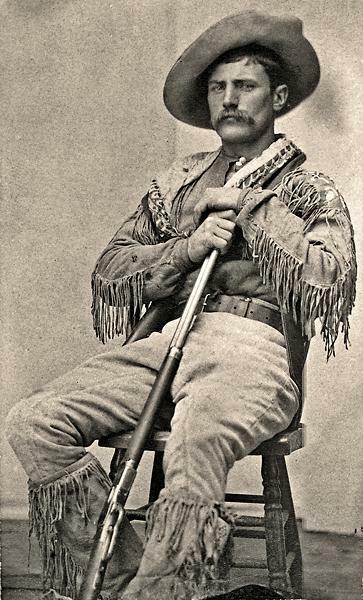 This Ranger, whose identity is lost to time, is dressed in functional cowboy gear that is typical of clothing worn by the Rocky Mountain Rangers. His hat identifies the one concession to military dress code: the upturned brim signifies affiliation with the Canadian Militia. The 1876 Winchester .45-75 was the Rangers weapons of choice (the original photo has been monkeyed with and the cutter is missing from the trigger guard). This Ranger also has a Smith & Wesson New Model No. 3 single-action revolver tucked in in his chaps. 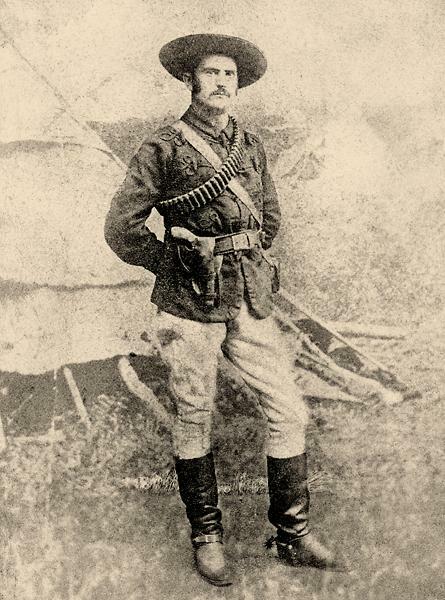 The commanding officer of the Rocky Mountain Rangers, Maj. John Stewart, displays the greatest effort at military comportment in uniform high military boots, Buermann-style civilian spurs, white riding breeches, a deep blue woolen tunic (in the pattern of his old regiment, the Princess Louise Dragoon Guards), a civilian belt with a double-loop holster holding what appears to be a Smith & Wesson revolver, a white haversack and a leather bandolier, all capped with a wide-brimmed hat. A Rocky Mountain Rangers scouting party, in the Cypress Hills during the North West Rebellion, gives their horses a well deserved rest. 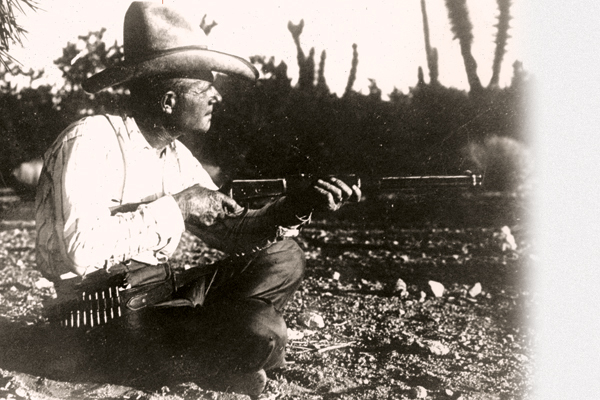 The Rangers utilized a varied range of weaponry and mostly provided their own sidearms, as holstered in this photo. 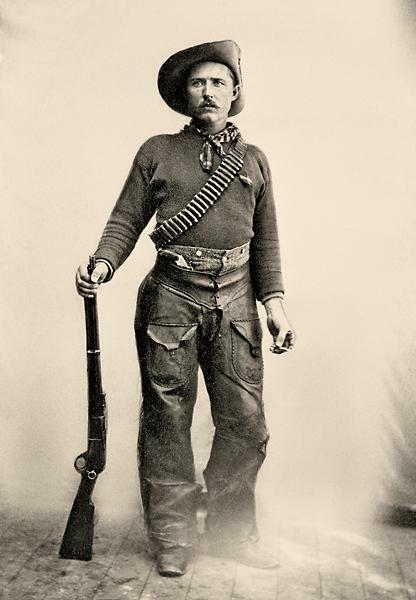 Rifles issued, however, were uniform with regulation arms of the North West Mounted Police either single shot Snider Enfield .577 military rifles cut down to carbines, or the newer issue Winchester Model 1876 .45-75 repeating carbine, carried by the Rangers in this photo. 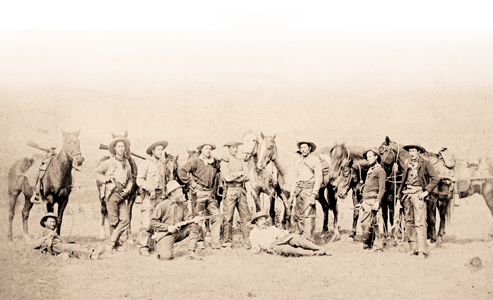 One exception is the 1873 Winchester brandished by the kneeling Ranger at left foreground. Winchester carbines can be seen mounted in pommel holsters on the horses in the background. 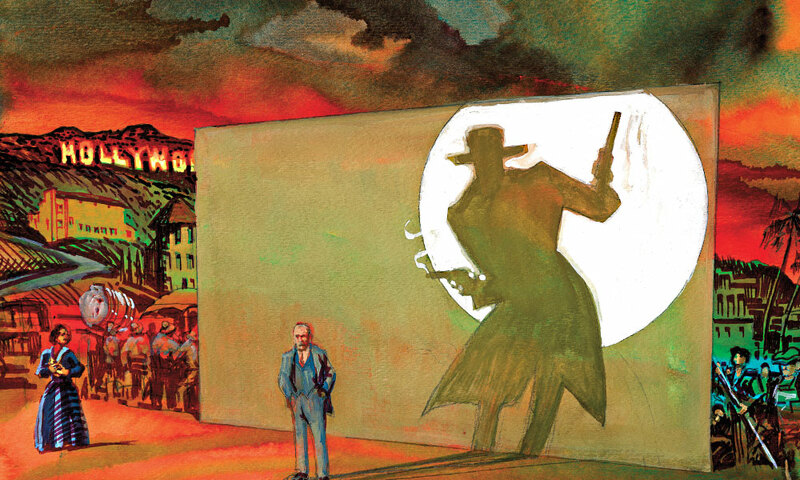 The Flawed Gentleman Bandit An investigation into Black Bart’s pretensions to being a San Francisco gentleman. Wyatt Earp in Hollywood The untold story of how Wyatt Earp got ripped off by outlaws in the last outlaw town.